AAA reports that 8 out of 10 seniors suffer from arthritis that can make turning and twisting hard to manage. Almost as many are also on prescription medications that cause troubling side effects like dizziness or drowsiness. Seniors don’t often realize that driving after taking these medications is risky. 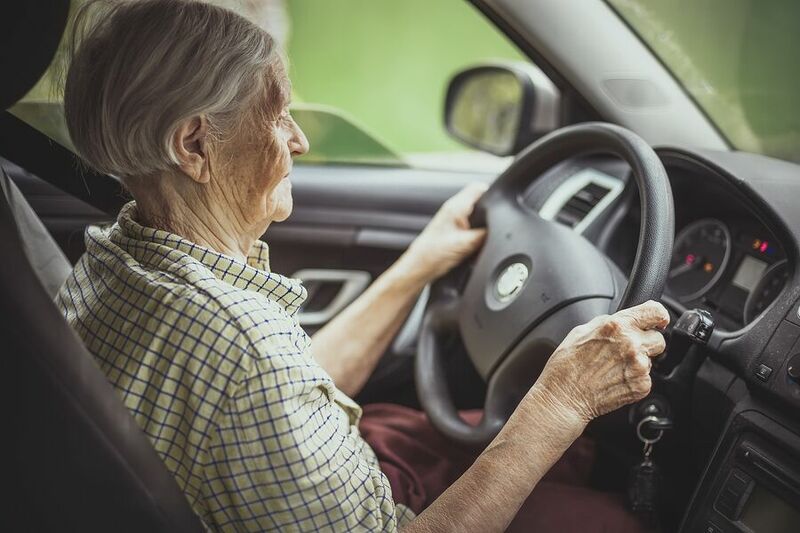 In 2016, the Federal Highway Administration reported there were approximately 33 million drivers in their 60s, 17 million in their 70s, and 7 million in their 80s and 90s. Statistically, around 794 senior citizens are injured in vehicle crashes each day. Around 20 elderly passengers or drivers are killed in these crashes. This often leads to the question “when should you take your parent’s keys away?” There is no specific age. Statistically, the highest rates of vehicle crashes occur after the age of 80. But, every driver is different. What’s important is to frequently assess your parents’ driving habits and skills and make that decision. If you can’t do it on your own, enlist your local DMV or driving school to help you out. -When your parents are about to drive, note how easy they get in and out of the driver’s seat. Twisting can be a problem if there is back pain. Cars that are lower to the ground can be harder to get out of than a taller truck or SUV. -Once your mom or dad is in the driver’s seat, see if they check and adjust mirrors. When backing up, do they check blind spots? Do they seem to have a hard time turning far enough to properly check blind spots? -Do your parents do the speed limit or drive too slowly and obstruct traffic? Are they able to see and react to signs correctly? Do they follow the car ahead of them too closely? Do they brake at the appropriate time? -Make sure your parents are properly checking blind spots before merging into traffic. How are their reaction times? All of those situations indicate driving may not be ideal anymore. -One more thing to do is talk to your mom and dad’s doctors. See if their vision is still okay for driving. Are the medications they take going to lead to side effects that affect their ability to drive? How Do You Tell Your Parents to Stop Driving? You’re going to be met with resistance in most cases. Prepare yourself for the anger and frustration. Most seniors panic because they see the loss of driving as a loss of freedom and independence. Make sure they know that they’ll still be able to go out often. Your parents may not be able to drive, but that doesn’t mean they need to stay trapped at home. Senior care aides offer a range of services that include transportation. Let caregivers drive your parents to stores, museums, theaters, and more. Call now to discuss rates and services offered by your local senior care agency. Steve and Christie Kramer decided to start Blessings! for Seniors after Steves experience with his mothers care several years earlier. He found it difficult to find reliable care for his mother following an accident in which she needed full-time care for a year. Communication was spotty and since he was out of state, this was a major concern. Blessings! for Seniors is based upon the kind of care he wanted for his mother. He wants to give to families the same care, concern and communication he sought to receive. Established in 2005, Blessings! has an enviable track record of serving seniors and is a member in good standing of the Arizona Non-Medical Homecare Association (ASNHA). Steve Kramer has a Bachelor of Science from Michigan State University and founded a business in Michigan called Home Bound Services, in which he worked with the Area Agency for Aging to provide services for seniors on Medicaid. After moving to Arizona he worked for the State of Arizona as a Vocational and Rehabilitation Counselor. As part of founding Blessings! he undertook training and certification as a Certified Senior Advisor, which is a professional certifying organization based in Colorado. Steve is serving as Executive Director of Living Solutions for Seniors, a non-profit whose mission is to work with underserved older adults and individuals with disabilities to provide independence through education, resources and services. He is Secretary of the Board for the Southwest Lending Closet, a non-profit organization that lends medical equipment to those in need. Plus, he is a member of the Goodyear White Tanks Rotary. Christie Kramer is due to receive her Master of Social Work, with a concentration in Direct Practice: Adult Behavioral Health and Gerontology Certificate from Arizona State University in May 2013. Her work experience includes serving as Research Aide to ASUs Assistant Professor Robin Bonifas, PhD on the latters senior bullying and resident aggression studies. The prior years student internship was with the Area Agency on Aging Region One, in which she learned about many of the agency's sixty different programs. Christie is currently interning at Banner Alzheimers Institute and is immersed in supporting older adults as they manage the daily reality of living with a memory disorder. Over the past five years, she has volunteered with local organizations such as the Alzheimers Association, Maricopa Elder Abuse Prevention Alliance (MEAPA), Arizona Caregiver Coalition, and Maricopa Elder Behavioral Health Advocacy Coalition (MEBHAC). Steve and Christie reside in Goodyear, AZ. They have five children, two adults living out of State, two attending ASU and one at Desert Edge High School.